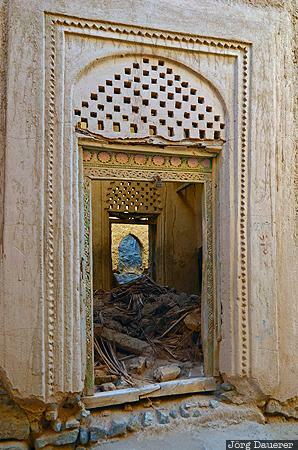 View through a door into a ruin filled with junk in the old town of Ibra. Ibra is in Ash Sharqiyah in the Sultanate of Oman. This photo was taken in the evening of a sunny day in March of 2012. This photo was taken with a digital camera.